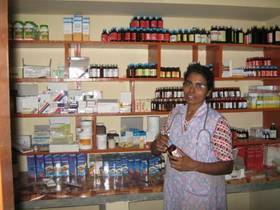 In Sirsia Mary Ward runs a three bedded dispensary. Patients come from the surrounding villages with different sickness like fever, caugh, dehydration, diarrhoea, weakness, anaemia, wounds, bleeding, also cases of scabbies. They receive treatment and medication. If necessary the patients can recover some time in the dispensary. The sisters also talk to them how to improve their health. and improvement of the treatment so that it is done in a more hygienic way. Mary Ward organized training for the village quakes that often move around with their bicycles and assist the patients in their homes. In this modern era everyone wants home service. At times due to their ignorance patients fall prey to these village quakes. Traditionally they have a lot of trust in them and there is a long standing relationship built with them. So much so that in some cases the quake takes a fee of Rs. 2000/- to heal an illness like jaundice which they fail in the end. Often villagers spent all their money on local quakes and at last they come to the dispensary. They too receive treatment, get well and then realize the need for going to the right place at once even if it causes them little more time. quakes on the importance of safe and hygienic treatment. 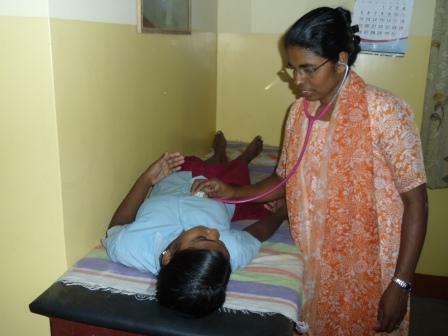 The nurse along with the health worker regularly visits the villages. That enables them to understand well the locally prevalent diseases and to offer proper treatment. 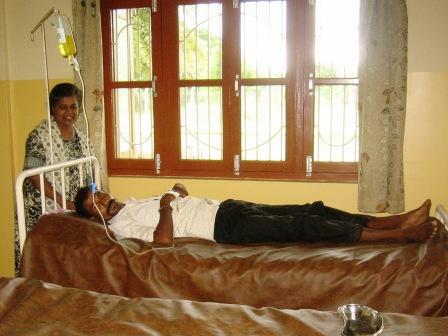 The patients are also referred to Koshi district hospital where Mary Ward has good rapport with government doctors.